Workers on a road construction. Road works. Asphalt milling machine in action. 4k00:12Road construction. Applying new hot asphalt using road construction machinery and power industrial tools. Roadworks repaving process. 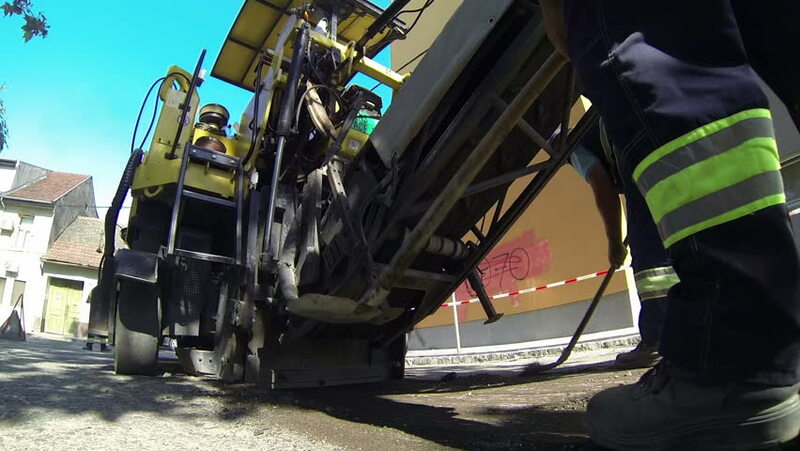 hd00:27Asphalt machine during road construction.Tracked machines for paving apply asphalt to street.Spillage of asphalt.Roadwork,street repair,highway construction.Evaporation of hot asphalt.Close up.25 fps.